Alefeld, G., Radermacher, R., 1994. Heat Conversion Systems. CRC Press, Boca Raton, FL. Ameel, T.A., Gee, K.G., Wood, B.D., 1995. Performance predictions of alternative, low cost absorbents for open-cycle absorption solar cooling. Sol. Energy 54 (2), 65-73. Argiriou, A., 1997. Ground cooling. In: Santamouris, M., Asimakopoulos, D. (Eds.) Passive Cooling of Buildings. James and James, London, pp. 360-403. ASHRAE, 1997. Handbook of Fundamentals. ASHRAE, Atlanta. ASHRAE, 1992. Cooling and Heating Load Calculation Manual. ASHRAE, Atlanta. ASHRAE, 2005. Handbook of Fundamentals. ASHRAE, Atlanta. ASHRAE, 2007. Handbook of Applications. ASHRAE, Atlanta. Balcomb, J.D., 1983. Heat Storage and Distribution Inside Passive Solar Buildings. Los Alamos National Laboratory, Los Alamos, NM. Brandemuehl, M.J., Lepore, J.L., Kreider, J.F., 1990. Modelling and testing the interaction of conditioned air with building thermal mass. ASHRAE Trans. 96 (2), 871-875. Braun, J.E., 1990. Reducing energy costs and peak electrical demand through optimal control of building thermal storage. ASHRAE Trans. 96 (2), 876-888. Qengel, Y.A., Boles, M.A., 1994. Thermodynamics: An Engineering Approach. McGraw-Hill, New York. Critoph, R.E., 2002. Development of three solar/biomass adsorption air conditioning refrigeration systems. In: Proceedings of the World Renewable Energy Congress VII on CD-ROM, Cologne, Germany. Dieng, A.O., Wang, R.Z., 2001. Literature review on solar adsorption technologies for ice making and air conditioning purposes and recent development in solar technology. Renewable Sustainable Energy Rev. 5 (4), 313-342. Dimoudi, A., 1997. Urban design. In: Santamouris, M., Asimakopoulos, D. (Eds.) Passive Cooling of Buildings. James and James, London, pp. 95-128. Dorgan, C.B., Leight, S.P., Dorgan, C.E., 1995. Application Guide for Absorption Cooling/Refrigeration Using Recovered Heat. ASHRAE, Atlanta. Druck, H., Hahne, E., 1998. Test and comparison of hot water stores for solar combisys-tems. In: Proceedings of EuroSun98—The second ISES-Europe Solar Congress on CD-ROM, Portoroz, Slovenia. Duffie, J.A., Beckman, W.A., 1991. Solar Engineering of Thermal Processes, second ed.. Wiley & Sons, New York. Duffin, R.J., Knowles, G., 1985. A simple design method for the trombe wall. Sol. Energy 34 (1), 69-72. Erhard, A., Hahne, E., 1997. Test and simulation of a solar-powered absorption cooling machine. Sol. Energy 59 (4-6), 155-162. Florides, G., Kalogirou, S., Tassou, S., Wrobel, L., 2000. Modelling of the modern houses of cyprus and energy consumption analysis. Energy— Int. J. 25 (10), 915-937. Florides, G., Kalogirou, S., Tassou, S., Wrobel, L., 2001. Modelling and simulation of an absorption solar cooling system for cyprus. Sol. Energy 72 (1), 43-51. Florides, G., Tassou, S., Kalogirou, S., Wrobel, L., 2002a. Review of solar and low energy cooling technologies for buildings. Renewable Sustainable Energy Rev. 6 (6), 557-572. Florides, G., Tassou, S., Kalogirou, S., Wrobel, L., 2002b. Measures used to lower building energy consumption and their cost effectiveness. Appl. Energy 73 (3-4), 299-328. Florides, G., Kalogirou, S., Tassou, S., Wrobel, L., 2002c. Modelling, simulation and warming impact assessment of a domestic-size absorption solar cooling system. Appl. Therm. Eng. 22 (12), 1313-1325. Florides, G., Kalogirou, S., Tassou, S., Wrobel, L., 2003. Design and construction of a lithium bromide-water absorption machine. Energy Convers. Manage. 44 (15), 2483-2508. Ghaddar, N.K., Shihab, M., Bdeir, F., 1997. Modelling and simulation of solar absorption system performance in beirut. Renewable Energy 10 (4), 539-558. Hahne, E., 1996. Solar heating and cooling. Proceedings of Eurosun'96, Vol.1, pp. 3-19, Freiburg, Germany. Haim, I., Grossman, G., Shavit, A., 1992. Simulation and analysis of open cycle absorption systems for solar cooling. Sol. Energy 49 (6), 515-534. Hammad, M.A., Audi, M.S., 1992. Performance of a solar LiBr-water absorption refrigeration system. Renewable Energy 2 (3), 275-282. Hammad, M., Zurigat, Y., 1998. Performance of a second generation solar cooling unit. Sol. Energy 62 (2), 79-84. Hastings, S.R., 1999. Solar Air Systems-Built Examples. James and James, London. Hawlader, M.N.A., Noval, K.S., Wood, B.D., 1993. Unglazed collector/regenerator performance for a solar assisted open cycle absorption cooling system. Sol. Energy 50 (1), 59-73. Herold, K.E., Radermacher, R., Klein, S.A., 1996. Absorption Chillers and Heat Pumps. CRC Press, Boca Raton, FL. Huang, B.J., Chyng, J.P., 2001. Performance characteristics of integral type solar-assisted heat pump. Sol. Energy 71 (6), 403-414. Hsieh, J.S., 1986. 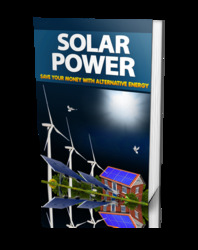 Solar Energy Engineering. Prentice-Hall, Englewood Cliffs, NJ. Hsieh, S.S., Tsai, J.T., 1988. Transient response of the trombe wall temperature distribution applicable to passive solar heating systems. Energy Convers. Manage. 28 (1), 21-25. Ishida, M., Ji, J., 1999. Graphical exergy study on single state absorption heat transformer. Appl. Therm. Eng. 19 (11), 1191-1206. Izquerdo, M., Vega, M., Lecuona, A., Rodriguez, P., 2000. Entropy generated and exergy destroyed in lithium bromide thermal compressors driven by the exhaust gases of an engine. Int. J. Energy Res. 24, 1123-1140. Jubran, B.A., Humdan, M.A., Tashtoush, B., Mansour, A.R., 1993. An approximate analytical solution for the prediction of transient-response of the Trombe wall. Int. Commun. Heat Mass Transfer 20 (4), 567-577. Kalogirou, S., 2007. Use of genetic algorithms for the optimum selection of the fenes-tration openings in buildings. In: Proceedings of the 2nd PALENC Conference and 28th AIVC Conference on Building Low Energy Cooling and Advanced Ventilation Technologies in the 21st Century, September 2007, Crete Island, Greece, pp. 483-486. Kalogirou, S., Florides, G., Tassou, S., 2002. Energy analysis of buildings employing thermal mass in cyprus. Renewable Energy 27 (3), 353-368. Kays, W.M., 1966. Convective Heat and Mass Transfer. McGraw-Hill, New York. Keith, E.H., 1995. Design challenges in absorption chillers. Mech. Eng.—CIME 117 (10), 80-84. Keith, E.H., Radermacher, R., Klein, S.A., 1996. Absorption Chillers and Heat Pumps pp. 1-5. CRS Press, Boca Raton, FL. Kizilkan, O., Sencan, A., Kalogirou, S.A., 2007. Thermoeconomic optimization of a LiBr absorption refrigeration system. Chem. Eng. Process. 46 (12), 1376-1384. Klein, S.A., et al., 2005. TRNSYS version 16 Program Manual, Solar Energy Laboratory, University of Wisconsin, Madison. Klein, S.A., 1992. Engineering Equation Solver. Details available from: www.fchart.com. Kreider, J.F., Rabl, A., 1994. Heating and Cooling of Buildings—Design for Efficiency pp. 1-21. McGraw-Hill, Singapore. Kotas, T.J., 1985. The Exergy Method of Thermal Plant Analysis. Butterworth Scientific Ltd, Borough Green, Kent, Great Britain. Lechner, N., 1991. Heating, Cooling and Lighting. Wiley & Sons, New York. Lee, R.J., DiGuilio, R.M., Jeter, S.M., Teja, A.S., 1990. Properties of lithium bromide-water solutions at high temperatures and concentration. II. density and viscosity. ASHRAE Trans. 96, 709-728. Lee, S.F., Sherif, S.A., 2001. Thermodynamic analysis of a lithium bromide/water absorption system for cooling and heating applications. Int. J. Energy Res. 25, 1019-1031. Mercer, W.E., Pearce, W.M., Hitchcock, J.E., 1967. Laminar forced convection in the entrance region between parallel flat plates. J. Heat Transfer 89, 251-257. Monsen, W.A., Klein, S.A., Beckman, W.A., 1982. The unutilizability design method for collector-storage walls. Sol. Energy 29 (5), 421-429. Nayak, J.K., 1987. Transwall versus trombe wall: relative performance studies. Energy Convers. Manage. 27 (4), 389-393. Randal, K.R., Mitchel, J.W., Wakil, M.M., 1979. Natural convection heat transfer characteristics of flat-plate enclosures. J. Heat Transfer 101, 120-125. Sencan, A., Yakut, K.A., Kalogirou, S.A., 2005. Exergy analysis of LiBr/water absorption systems. Renewable Energy 30 (5), 645-657. Sharp, K., 1982. Calculation of monthly average insolation on a shaded surface of any tilt and azimuth. Sol. Energy 28 (6), 531-538. Simmonds, P., 1991. The utilization and optimization of building's thermal inertia in minimizing the overall energy use. ASHRAE Trans. 97 (2), 1031-1042. Smolec, W., Thomas, A., 1993. Theoretical and experimental investigations of heat-transfer in a trombe wall. Energy Convers. Manage. 34 (5), 385-400. Talbi, M.M., Agnew, B., 2000. Exergy analysis: an absorption refrigerator using lithium bromide and water as working fluids. Appl. Therm. Eng. 20 (7), 619-630. Tozer, R.M., James, R.W., 1997. Fundamental thermodynamics of ideal absorption cycles. Int. J. Refrig. 20 (2), 120-135. Thorpe, R., 2002. Progress towards a highly regenerative adsorption cycle for solar thermal powered air conditioning. In: Proceedings of the World Renewable Energy Congress VII on CD-ROM, Cologne, Germany. Trombe, F., Robert, J.F., Cabanot, M., Sesolis, B., 1977. Concrete walls to collect and hold heat. Sol. Age 2 (8), 13-19. Utzinger, M.D., Klein, S.A., 1979. A method of estimating monthly average solar radiation on shaded receivers. Sol. Energy 23 (5), 369-378. Wilcox, B., Gumerlock, A., Barnaby, C., Mitchell, R., Huizerza, C., 1985. The effects of thermal mass exterior walls on heating and cooling loads in commercial buildings. In: Thermal Performance of the Exterior Envelopes of Buildings III. ASHRAE, pp. 1187-1224. Winston, R., O'Gallagher, J., Duff, W., Henkel, T., Muschaweck, J., Christiansen, R., Bergquam, J., 1999. Demonstration of a new type of ICPC in a double-effect absorption cooling system. In: Proceedings of ISES Solar World Congress on CD-ROM, Jerusalem, Israel. Winwood, R., Benstead, R., Edwards, R., 1997. Advanced fabric energy storage. Build. Serv. Eng. Res. Technol. 18 (1), 1-6. Zinian, H.E., Ning, Z., 1999. A solar absorption air-conditioning plant using heat-pipe evacuated tubular collectors. In: Proceedings of ISES Solar World Congress on CD-ROM, Jerusalem, Israel. Zrikem, Z., Bilgen, E., 1987. Theoretical study of a composite Trombe-Michel wall solar collector system. Sol. Energy 39 (5), 409-419. The usual types of industries that use most of the energy are the food industry and the manufacture of non-metallic mineral products. Particular types of food industries that can employ solar process heat are the milk (dairies) and cooked pork meats (sausage, salami, etc.) industries and breweries. Most of the process heat is used in the food and textile industries for such diverse applications as drying, cooking, cleaning, and extraction. Favorable conditions exist in the food industry because food treatment and storage are processes with high energy consumption and high running time. Temperatures for these applications may vary from near ambient to those corresponding to low-pressure steam, and energy can be provided either from flat-plate or low-concentration-ratio concentrating collectors. The principle of operation of collectors and other components of the solar systems outlined in the previous chapters apply as well to industrial process heat applications. These applications, however, have some unique features; the main ones are the scale on which they are applied and the integration of the solar energy supply with an auxiliary energy source and the industrial process. Generally, two primary problems need to be considered when designing an industrial process heat application. These concern the type of energy to be employed and the temperature at which the heat is to be delivered. For example, if hot water is needed for cleaning in food processing, the solar energy should be a liquid heater. 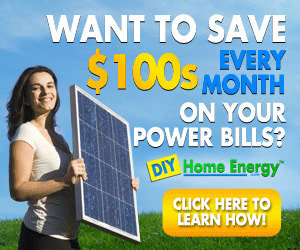 If a process requires hot air for drying, an air heating system is probably the best solar energy system option. If steam is needed to operate a sterilizer, the solar energy system must be designed to produce steam, probably with concentrating collectors. Another important factor required for the determination of the most suitable system for a particular application is the temperature at which the fluid will be fed to the collector array. Other requirements concern the fact that the energy may be needed at particular temperature or over a range of temperatures and possible sanitation requirements of the plant that must also be met, as, for example, in food processing applications. The investments required in industrial solar application are generally large, and the best way to design the solar energy supply system can be done by modeling methods (see Chapter 11) that consider the transient and intermittent characteristics of the solar resource. In this way, designers can study various options in solar industrial applications at costs that are very small compared to the investments. For the preliminary design, the simple modeling methods presented in previous chapters apply here as well. Another important consideration is that, in many industrial processes, large amounts of energy are required in small spaces. Therefore, there may be a problem for the location of collectors. If the need arises, collector arrays can be located on adjacent buildings or grounds. Locating the collectors in such areas, however, results in long runs of pipes or ducts, which cause heat losses that must be considered in the design of the system. Where feasible, when no land area is available, collectors can be mounted on the roof of a factory in rows. In this case, shading between adjacent collector rows should be avoided and considered. However, the collector area may be limited by the roof area, shape, and orientation. Additionally, roofs of existing buildings are not designed or oriented to accommodate arrays of collectors, and in many cases, structures to support collector arrays must be installed on existing roofs. It is usually much better and cost effective if new buildings are readily designed to allow for collector mounting and access. In a solar industrial process heat system, interfacing of the collectors with conventional energy supplies must be done in a way compatible with the process. The easiest way to accomplish this is by using heat storage, which can also allow the system to work in periods of low irradiation and nighttime. The central system for heat supply in most factories uses hot water or steam at a pressure corresponding to the highest temperature needed in the different processes. Hot water or low-pressure steam at medium temperatures (<150°C) can be used either for pre-heating water (or other fluids) used for processes (washing, dyeing, etc. ), for steam generation, or by direct coupling of the solar system to an individual process working at temperatures lower than that of the central steam supply. Various possibilities are shown in Figure 7.1. In the case of water pre-heating, higher efficiencies are obtained due to the low input temperature to the solar system; thus low-technology collectors can work effectively and the required load supply temperature has no or little effect on the performance of the solar energy system. Norton (1999) presents the history of solar industrial and agricultural process applications. 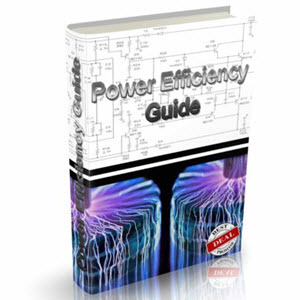 The most common applications of industrial process heat and practical examples are described. A system for solar process heat for decentralized applications in developing countries was presented by Spate et al. (1999). The system is suitable for community kitchens, bakeries, and post-harvest treatment. The system employs a fixed-focus parabolic collector, a high temperature flat-plate collector, and a pebble bed oil storage. FIGURE 7.1 Possibilities of combining the solar energy system with the existing heat supply. systems producing process heat for a large and a small brewery, a malt factory, and a dairy are presented. In the breweries, the washing machines for the returnable bottles were chosen as a suitable process to be fed by solar energy; in the dairy, the spray dryers for milk and whey powder production were chosen; and in the malt factory, the wither and kiln processes. Up to 400 kWh/m2/a were delivered from the solar collectors, depending on the type of collector. How can solar thermal used in dyeing process?